Pensacola is the largest city in the Florida Panhandle yet offers small city safety and comfort, with big city amenities: opera, symphony, theater, museums and more. Steeped in four centuries of history, the historic assets of our region showcase a rich learning and leisure destination for visitors and citizens alike. Within a five-mile radius, residents and business can access major thoroughfares by land, sea or air with Interstate 10, CSX and the Gulf Coast Railway, a deep-water port, an international airport with 11 non- stop flights, and entry to the Intercoastal Waterway. Choose from a variety of settings to make Pensacola you home: beaches, bay front, historic districts, subdivisions or a rural country setting, all available within a short commute to any work place in Pensacola. Surrounding yourself with warm sand and cool beaches or shady oak trees and crisp green grass, you are sure to find Pensacola’s housing environment warm, friendly and ready to greet you with all of its sunshine charm. The Gulf Coast is attractive for beach and military enthusiasts, but also businesses and a growing workforce. 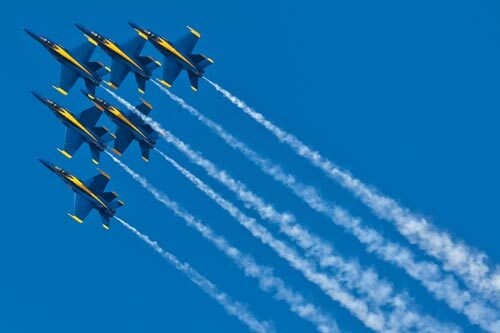 Noted as the cradle of aviation, home to NAS Pensacola, as well as three four-year colleges, Pensacola is cementing its position as a contender in the aviation, marine, aerospace, and tech industries. Pensacola prides itself on its diverse and emerging cultures by providing annual festivals, events and performances that captivate the heart and history of the area. Whether a long-time resident or a first- time vacationer, you can enjoy events year-round that display the region’s greatest musicians, food, artists, shows, vendors and performances. Home to the beautiful Pensacola Museum of Art, Anna Lamar Switzer Center for Visual Arts, The Museum of Commerce, The Naval Aviation Museum, The Pensacola Lighthouse, The Pensacola Historic Museum, Ballet Pensacola and The Pensacola Saenger Theatre, Pensacola thrives on never-ending music, dining, dancing and cultural diversity located right at your fingertips.